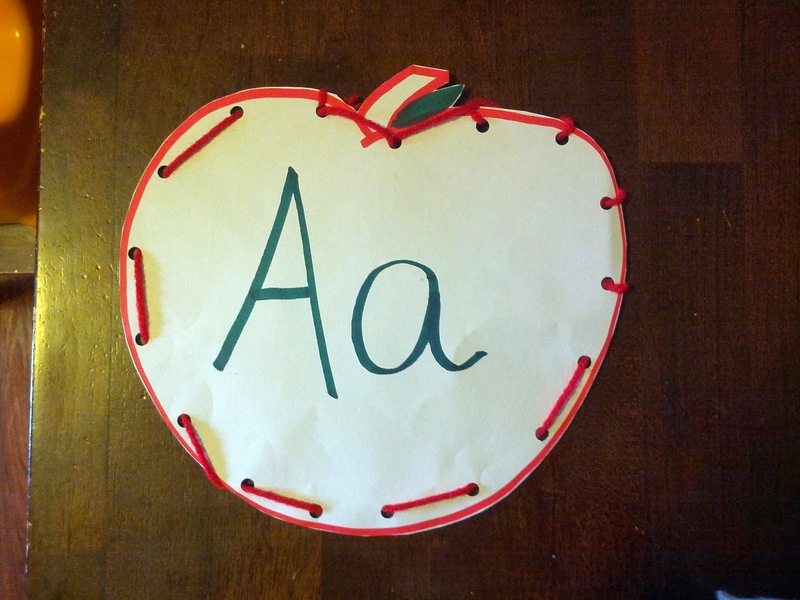 Fru-Gal.org: Homeschool Preschool: We finished our Johnny Appleseed Preschool Unit! Homeschool Preschool: We finished our Johnny Appleseed Preschool Unit! Threading a "worm" through an apple (Pinterest Idea). 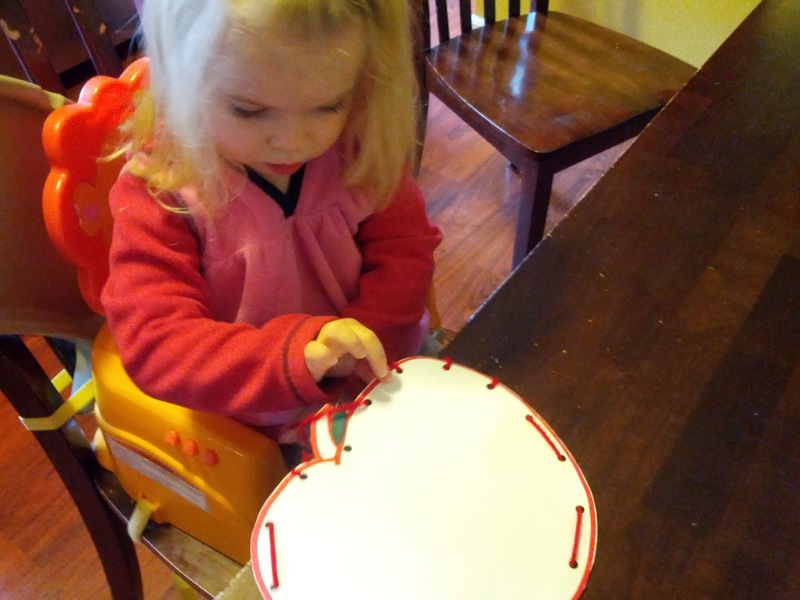 Almost done (great activity for hand-eye coordination practice)! Got this idea from a book we read... cut out the core of an apple, then cut the core in half and used the star-seed shape in the middle as a pretty stamp! This has nothing to do with our apple unit, but I thought it was a cute idea and Anna loved it... I cut out felt clothing items from leftover felt scraps from my homemade autumn yarn wreath and also I cut out a picture of Anna's NY grandma and grandpa from an out-dated photo calendar. 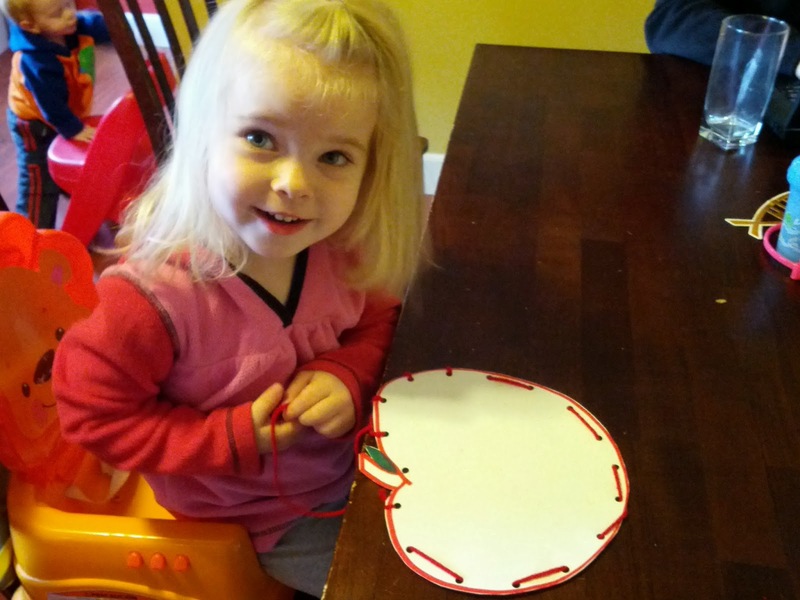 She had a lot of fun playing "paper dolls."